Tooth decay is one of the most widespread conditions in the world. Caused by a buildup of plaque and bacteria, tooth decay can lead to bad breath, cavities and even gum disease. Untreated, tooth decay can have serious consequences on a person’s oral health, from infections and abscesses to lost teeth and bone tissue. Bacteria are naturally present throughout the body. The human mouth is home to a multitude of bacteria, most of which are harmless. However, some of these feed off the sugars we eat and produce an acidic waste product, which then eats away the enamel of the teeth. Once this process has begun, the tooth begins to demineralize, or decay. It can take months or years for a cavity to develop, which is why regular dental checkups are crucial. Regular brushing and flossing can help keep teeth healthy, while fluoride can strengthen and even re-mineralize the softened areas of the teeth, which may be able to stop any cavities from developing. Our dentist can suggest the best treatment for your situation. If a cavity has already formed, you may need a filling. Our dentist can treat cavities with a white filling instead of an amalgam, or metal filling. Once a cavity has deteriorated to the point of causing an infection in the inner channels of a tooth, the only treatment that can save that tooth is a root canal treatment. 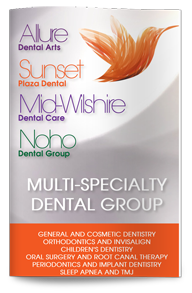 Contact our dental office today to learn more or to schedule a consultation with our West Hollywood dentist.